This is our second-to-last sermon in our series called “Working for the Lord,” where we’ve been exploring what the Bible says about what we spend most of our time doing each week. It’s been so good to hear from so many of you that this series has helped you at your work all Fall. And I hope that it continues to bear fruit. Even though this series will end next Sunday, Lord-willing, I plan to not continue to bring applications to our work-lives just about every Sunday from now on. I’ve been convicted that there needs to be a closer connection in application between what we read on Sunday mornings and what we live out Monday through Saturday. So, listen each week, even after this series is over, for more direct applications of how the truths we discover in our Bibles on Sunday mornings get lived out at work on Monday mornings. And I was serious when I said last week that I’d like to visit you at your workplace. I’ve come to understand that my job as your pastor is more than just shepherding in homes and hospitals but also in the marketplace. I’d love to drop by your job and learn more about what you do and also to pray for you there. And to meet your co-workers. Co-workers are the subject of today’s message. Last week, I said that many of you in the sermon surveys have asked for wisdom on relating to your teammates on the job. So that’s what today’s message is all about, and we’re going to study the first eleven verses of Philippians chapter 1 to gain some wisdom on that. But first, there is another group of workers that I’d like to recognize. Every week in this series, we’ve been asking different kinds of workers to stand and be celebrated for your unique contribution to the common good and for your calling to work for the Lord and not for men. Last week, we asked everyone who interacts directly with the public to stand. Today, I want to do the opposite. I want to ask the folks who often work in the back room to stand. And here I’m thinking of IT professionals. Information technology folks. Tech folks. Office workers. And management people. Folks that often sit in a back room and have to make out schedules and balance the checkbook and make personnel decisions. You may not be the face or voice of the company, but if you folks in the back rooms don’t do your job, then nothing works, and no one gets paid. You are often the unseen engine that empowers the company. Would you back-room-type folks please stand and be recognized? Thank you! Thank you for your contribution. And thank you for serving the Lord in your work. It is the Lord Christ you are serving. Whether anybody else notices it or not, thank you for doing your job for Him and for His glory. And thank you for putting up with your co-workers! I know that’s not always easy. 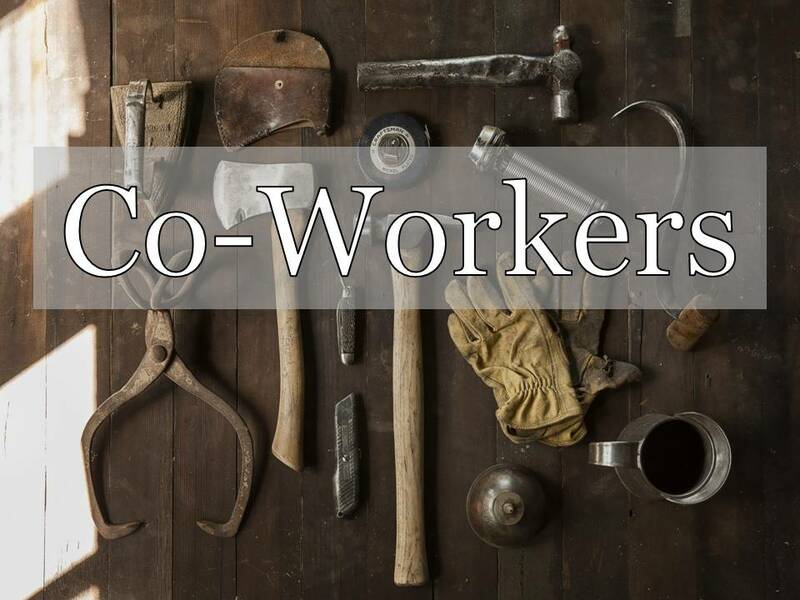 Most of us have co-workers. There are a few people whose work alone, completely alone, but most of us have some kind of a team that we do our work with. Now, maybe our co-workers do a very different part of the job than we do. Some are front office and some are back office. Some are labor and some are management. But most of us have other people that we do our work with. We work on some kind of a team. And when that team is working well together, it can be terrific. That was the apostle Paul’s experience with his gospel-sharing team, wasn’t it? Verses 1 through 8 of our text for today reveal how deeply thankful Paul was for the team he was on. When Paul sat down for Thanksgiving like we all did on Thursday and counted his blessings, his co-laborers in Christ were near the top of his list. V.1 again. I had a missionary friend send me these very verses this week to express his thanksgiving that we are in partnership with him in his gospel work. Whenever Paul thought about his co-workers at Phillippi, he was thankful. Whenever Paul thought about his partners in his work, he was filled not just with confidence that God would complete His work in them, but gratitude that they got to work together for the Lord. Does that describe you and your situation? Now, Paul was talking specifically about gospel work here. This is the work of the church. This is missions. But the principle carries over into our vocations, as well, doesn’t it? Because all of our work is ministry, right? At least it should be, because it is the same Lord Christ we are serving on all of our jobs. So, it is possible to feel this way about our co-workers today. And I know that many of you do. I see your posts on social media about how thankful you are to work with so many great people each day. I see you celebrate the accomplishments of your teams at work, and my heart rejoices with you that you have something good to exult in and teammates to exult with. And that’s how I feel about you all here. Because we are all co-workers in the gospel just like Paul and the Philippians. So when that team is working well together, it can be terrific. But it doesn’t always work that way, does it? What about the times when it’s difficult to get along with your co-workers? A number of you have asked for help with dealing with difficult co-workers in the survey sheets that we put out. I assume that many of you can relate to that question. Sometimes it’s not the work that’s so hard, it’s who we have to work with. So, what do you with a difficult co-worker? Right? I mean what kind of a difficult co-worker do you have? What is the situation? What is your relationship with that co-worker? How often do they do what they do that is problematic? Is it just annoying or is it sinful and wrong? Is it unethical and immoral? Or is it just a way of doing things differently than how you would do it? Is it how they dress or act? Is it how they act on the job or how they act when they are not on the job, but you have to deal with them there? What drives their difficult behaviors? What is the root problem? And what is your responsibility to them? What are you expected to do or not do? You see how it depends? There is no one-size-fits-all answer to those questions. But life is messier than that. And the Bible’s wisdom is richer than that, as well. It depends. So what you need is wisdom. And the Bible says that there are two main ways to get wisdom. One is to dig for it in God’s Word. And two is to pray that God would give it to you. And those are not mutually exclusive. Dig for wisdom in God’s Word and pray that God would graciously grant it to you. So, if you’re having trouble on the job with your co-workers, you should be ransacking your Bible for wisdom. And let me recommend to you especially the book of Proverbs. And sometimes we act like the fool, and sometimes interact with others who are being foolish. I highly recommend that you go through the book of Proverbs and underline every verse that says how to relate to a fool. You will find all kinds of wisdom for on the job. How to answer a fool, how not to answer a fool, how and when to send a fool on an mission or with a message. How to talk to a fool and how not to talk to one. What to share with them and what not to. And how to not be a fool. Very important that we ourselves not become the difficult co-workers who are so hard to work with! Like the slacker/sluggard, right? But don’t just read your Bible. Talk with the Author, as well. The second way the Bible says to get the wisdom we need is to ask God for it. That’s what James says, right, in his first chapter? “If any of you lacks wisdom, he should ask God, who gives generously to all without finding fault, and it will be given to him” (James 1:5). And that’s also where Paul goes next in verses 9 through 11 of Philippians 1. Because even though Paul was experiencing gratitude and joy for his partnership in ministry with the Philippians, the Philippians themselves were experiencing some level of conflict within their church. We talked about this a few weeks ago when we read chapter 2 together and talked about our attitude at work. That we need to develop a servant attitude and not complain and a grumble. It appears that two key lady leaders at Philippi were in a quarrel with one another. Chapter four gives us their names of Euodia and Syntyche. And there were probably others there who were struggling to get along with each other. It was one of the reasons why Paul wrote this letter to them, to try to help them to work it out. The Philippians needed God to give them wisdom for loving each other. Let’s read verses 9 through 11. In dealing with difficult co-workers, we need to be regularly praying to God that He would grant us a growing and wise kind of love. Paul prays that they would not have a small love but a big love and an increasingly larger love. Do you pray that you would love your difficult co-workers? Not just the ones that we enjoy. They are easy to love. And not just the co-workers who are basically okay but annoying. Our Lord Jesus said that we are to love our enemies. And that’s not just ISIS. That’s loving the co-worker who stabs you in the back when you aren’t watching. That’s loving the co-worker who is vying for your job. That’s loving the co-worker who took credit for your work. That’s loving the co-worker who said those nasty things about you last week. Our Lord Jesus said, “You have heard that it was said, 'Love your neighbor and hate your enemy.' But I tell you: Love your enemies and pray for those who persecute you, that you may be sons of your Father in heaven” (Matthew 5:43-45a). And it makes sense that we would pray for ourselves that we our love for them would grow. One of our prayer requests should be that our love would be larger today than it was last year. Do you love others on the job more today than you did a year ago? The word for “abound” here in verse 9 is “periseuo.” That’s the root word that I once demonstrated by over-filling a cup of water up here on the stage. It means to be full to overflowing. We don’t tend to put those things together, smart and love, but they absolutely should go together. The Greek word for love here is “agape,” and that’s the word that the New Testament writers go to the most to describe the kind of sacrificial love that God demonstrated for us in Christ and that we are to grow in for others. David Powlison calls it, “contra-conditional love.” Love that goes against all expectations and deserts. He says that it’s better than un-conditional love! This is a love that shows commitment even though the person being loved not only does nothing to deserve it, the person being loved actually does things to deserve the opposite than love. This is a love that is committed to what is best for the other person regardless of the personal cost. Regardless of the sacrifice. A love that goes beyond feelings (even in spite of feelings) to commitment. And Paul prays that this growing love would be...smart. A growing, SMART kind of love. Now, we don’t normally think about love being smart or dumb. We tend to think about it being either hot or cold or somewhere in between. But Paul prays that the Philippians love would be SMART. They would love in knowledge. They would love (King James says,) “in all judgment.” In depth of insight. A SMART kind of love. Well, think for a second about the opposite. Not just a sentimental kind of love, not just a dumb, bland love, not just a mushy love that doesn’t know what it’s trying to accomplish. This is a love that has its head about it. This is a love that knows what it’s doing. This is a smart love, a wise love, a love that can really achieve its aim. Do you see why that’s the kind of love that we need on the job? Love that knows what it’s doing. Have you ever struggled to know HOW to love someone? I sure have. Lots of times. I know that my job is to love the, but I don’t know how. I maybe even feel love for them but I don’t know the best way to express it. What would really help them? What would really hit the spot? Paul says that we need to be praying for that. This is a prayer that we would grow in our ability to know how to love intelligently. To love wisely. To love in knowledge and depth of insight. How often do we do that about our work? How often do we do that about our relationships with our co-workers? I think that most of the time, we pray that our co-workers would smarten up, but this is a prayer that we would smarten up and be better able to love them well. Why is this smart-love so important? Paul gives 2 main reasons, and they are our last two points. One is super important for us and the other is ultimately important in the universe. Notice the “so that” in v.10. This smart-love makes us able to discern. Or literally to “prove and approve and choose” what is best. Not just what is good, but what is best. And this is a prayer that we would be able to smart-love in such a way as to recognize the best. What is excellent. What is the most suitable, the most favorable, the most God-pleasing, the wisest, the best thing to chose. This is growing in Christlikeness. Paul prays that the Philippians would grow in smart love so that they would more and more look like Jesus. Jesus, more than anyone, has smart-love. He always knew what to say, what to feel, what to do, how to love in knowledge and depth of insight. Jesus, more than anyone, was pure and blameless. He was totally holy and perfect in every way. Jesus, more than anyone, was filled with the fruit of righteousness. His words, His actions, His choices, His behaviors, His fruit was perfectly characterized by righteousness. So, this smart-love that we’re supposed to pray for produces Christlikeness. And we’re supposed to pray that we would grow in that until (towards) the day of Christ. The day when Christ’s glory is fully revealed. We should pray this way (for a growing smart love) so that we would grow in Christlikeness. And what would that do on our jobs? It would point people to Jesus, wouldn’t it? If you and I, as servants, looked more and more like our Master, our co-workers would be more and more drawn to our Master. Well, take the fruit of the Spirit for one. That’s what we will look like if we are becoming like Christ. And if we follow the wisdom that God has given for us live out. Often, the co-workers that have been given to us are for our sanctification. God has providentially provided these particular co-workers so that we would pray for smart love and grow in that love so that we would become holy in new ways, ways that we weren’t before. Filled with the fruit of righteousness. In ways that we never would have been if God hadn’t plunked us down with these particular co-workers. It doesn’t mean that they aren’t difficult. They can be really bad. But it does mean that God wants to use even them to refine you. That’s what we ought to pray! Let give you some good news before we look at point #3. This work of producing Christlikeness in you is God’s work. And if you belong to God, He’s committed to doing it in you! The Lord is the one that is doing this work! We are called to pray and to cooperate. But God is doing it. Remember verse 6.
Who began the work? God did. Who carries it to completion? God does! That’s the same day that our purity and blamelessness is aimed at. That’s the same Christ who is producing in us the fruit of righteousness. It comes from Him and it is for Him. And we can rest on Him to produce it in us. You might be discouraged today that you haven’t grown on the job like you think you should. But I want to encourage you, if you belong to Jesus, He is busy completing His good work that He has begun in you. He wants to fill you with good fruit for His day. #3. SO GOD WOULD GET THE GLORY AND PRAISE. We should pray for this growing smart love for our co-workers in order that when all is said and done God would get the praise and the glory from our life and our work. This is the ultimate reason for Jesus’ work in our life. And it should be the ultimate motive in our prayers and our growth in Christlikeness and our relationships with oru co-workers and our work. That God would get the ultimate in praise and glory forever. Is that why you go to work? Is that why you relate to your co-workers? It’s not just to pay the bills. It’s not just to get things done. It’s so that God gets the praise and glory that He deserves forever and ever. That perspective changes everything doesn’t it? So that difficult co-worker is not just there to give you trouble. He or she is not even just there so that you could grow in Christlikeness while you relate to them in love. They are there, ultimately, so that when you respond with smart-love and grow in your ability to discern what is best, and become like Jesus, God gets the glory for it all. If that’s your every day goal in your working relationships, then you can’t go wrong. You may not know how to fix things and things may not get better. But God will get the glory, and that’s what counts the most for all eternity. LEFC Family Advent Readings: Take Heart! During this year’s Advent season, we will be reflecting on our Lord Jesus’ promise from the Gospel of John, chapter 16, verse 33. Our first candle is a candle of lament. To lament is to express grief and sadness because things are not as they should be. Jesus said that in this world we will have trouble. Our world is deeply broken because of sin. When our first parents, Adam and Eve, disobeyed God, our world went from “very good” to “cursed,” and now things are not as they should be. Terrorism, war, disasters, disease, pain, personal conflict, and persecution are just a few of the problems that we now confront in our broken world. It is right and good and fitting for us to lament. The Bible encourages us to weep with those who weep. Our Lord Jesus Himself wept at the tomb of His friend Lazarus. Followers of Christ know that things are not as they should be and that it is wrong to pretend that they are. Yet we also know that the world will not always be broken. Jesus has overcome the world, and our sorrow will be turned to joy. But until that day, our joy is mixed with sadness. [Matt's Messages] "Love at Work"
Our Fall sermon series is coming to and end. I only planned to have three more messages in this series. Today, next week, and then December 6th. Why we work. We are working for the Lord. Is work good or bad. How to witness at work. How to balance hard work and rest. How to know what you are called to do for your work. How to pray at work and what our attitude should be at work. And, last week, how to work in the name of the Lord. I think I’ve offered answers for just about all of the questions that you turned in on these surveys we passed out at the beginning of the series. There are a couple that are more specific than a sermon will cover, and I hope to write an article or two for my blog on the answers to those. But we’ve covered most of the ground or will by the end of the next few weeks. Here was one though that I wanted to spend more time on. We’ve hit on it most of the weeks, but I wanted to address it squarely on the head this week. A number of you indicated that doing the right thing at work, the ethical thing, the moral things, righteous thing was an area that you thought was important for this series to cover. If we are supposed to be working for the Lord (and we are! ), then a big part of doing our work the right way will be doing the right thing at work. But what is that? What is the ethical standard we should be striving for in our workplaces? In one word it is: LOVE. 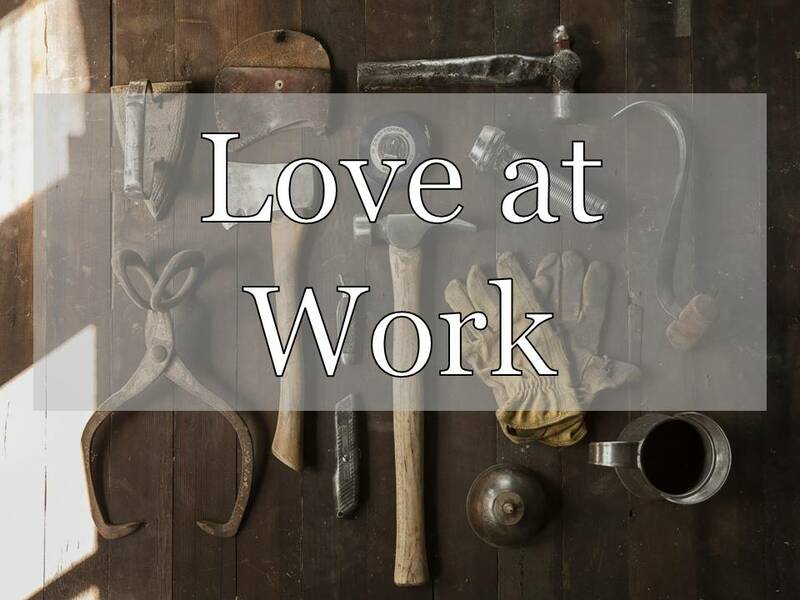 Our sermon title this week is “Love at Work,” and I don’t mean office romances or even loving your work which I hope that many of you do. What I intend for us to think about today is how God is calling us to the standard of love when we make our ethical choices on the job. If we want to be righteous, we will need to be loving. And I can think of no better place to see this than Matthew chapter 22 where Jesus summarizes the entire law into the two greatest commandments. Do you have it in front of you? This teaching take place during Jesus’ passion week just a few days before His crucifixion. He’s been teaching publically in the temple courts, and He’s been confounding his opponents. They keep trying to catch Him or trick Him, but He outsmarts them every time. For some reason he thinks that’s a stumper. Probably, being an expert, he thinks that if he can’t answer the question, nobody can. Or maybe he thinks that Jesus will get Himself into trouble by emphasizing one commandment over another and losing supporters on one side of a debate or another. Any way about it, this guy think he’s got Jesus stumped. Before we read verse 37, how would you answer it? There are a lot of commandments out there. What would you put at the absolute top of the list? If you had one rule for those who work at your job to observe, what would it be? Our Lord Jesus was not stumped by this question. He had an answer ready. He said that Deuteronomy chapter 6, verse 5 would take the top of the list. You want to know what is always the right thing to do at work? #1. LOVE YOUR GOD AT WORK. That’s the first and greatest commandment. It’s the most important way to obey while you are doing anything, including doing your job. Love your God at work. That makes sense, doesn’t it? Because when we do our jobs, we are doing them as working for the Lord not for men. So it makes sense that we would be loving our Boss with a capital B. Now that word “love” gets thrown around a lot in our culture. We say we “love” all kinds of stuff. But the way that Jesus is using the word here is much more than affection or approval of something. This is not the “like” button on Facebook. This is not “loving” something on Pinterest. This is putting God first and foremost in our life. Valuing Him above everything else. Turn with me to the book of Exodus, chapter 20. Many many Bible students over the years have connected the Greatest Commandment, to love God supremely, with the first 4 commandments in the Decalogue, the Ten Commandments. Let’s look at them more closely and think about they would relate to our work. Obviously, in this form, they were given to Israel as part of the Old Covenant, but we can learn from them ourselves now and think about how Jesus interpreted them and incorporated them into what we call the Law of Christ in the New Covenant of which we are a part. Exodus 20, verse 1. Does that relate to our work lives? God wants us to love Him first and foremost. Notice, that the Ten Commandments start with grace. He reminds them Who He is. He is their rescuer. They weren’t to keep the ten commandments to be saved. They were to keep them because they had been saved. And because they had been saved for God. He wanted a special relationship with them. One that was exclusive. I’ve really enjoyed reading this book by Tim Keller as we’ve gone through this series. Every Good Endeavor. This week, I read chapter eight which is entitled, “Work Reveals Our Idols.” It’s a very insightful chapter that delineates the many ways in which we come up with what he calls “counterfeit gods” at work. Greed. Workaholicism. Being driven for success or status. Or even comfort or honor or productivity or any other good thing that has risen to the level of the greatest thing. God wants to be the greatest thing in our work lives. Do you see the love there? Why does God oppose the manufacturing of idols? Not just because they take the place of God Himself but because they are all poor substitutes for Him. And if you make an idol, you think can control it, right? If I make my god, then I can make my god how I want him, right? But God is a jealous God. In a good way. He wants us to worship Him for who He really is not just how we want Him to be. How does this relate to our work lives? Have you heard anyone say, “My God would never do that?” And then they fill in the blank with what they want God to be like. They want a God who is manageable and tame. But our God is not manageable. He manages us. He is not tame. He tames us. And He wants us to love Him as He really is. So if God asks you to do something at work that is different from how the rest of the world acts, don’t try to fit Him into the world’s mold. Break the mold and go with God. You see how committed He is to His glory? Even if you send four generations of God-hating people against Him, you will not win. God is fully committed to His own glory and those who love Him will experience his faithful love forever. We talked about this last week. This is more than just don’t swear with God’s name on the job. Don’t use God’s name as profanity. It does mean that. Don’t do that. Don’t say, “O my God” at work. It means don’t wear that name and then smear mud on it. I think one of the worst ways we can do our work as Christians is to be unethical on the job while telling the world that we are Christians. We need to do our work with integrity. There are “Christian businessmen” who put a fish symbol on their business cards but then turn around an rip off their customers. Pat Morley said in his book A Man’s Guide to Work, “One thing that kept my own mother from true faith for so long was watching a man she worked with read his Bible every day at lunch, but then live like the Devil all afternoon” (pg. 48). That’s misusing the name of the Lord. And it’s not loving your God at your work. Now, we already looked at verses 8-11 in the sermon on work and rest, but let’s read them one more time. We love our God at work by trusting Him even when He says that we should not work. There are times to rest and let God take it from there. Part of loving God at work is leaving work at work. And I am very guilty of failing at that. The Lord has been dealing with me this Fall about my need to trust in Him and take a break and learn to rest. Work hard when it’s time and rest well when it’s time. Do you see what we’ve done here? We’ve just thought a little bit about how the first four commandments of the ten commandments relate to our work life and help us to fulfill the Greatest Commandment at work. Turn back there to Matthew 22 and look at that verse again. It’s verse 37. Pew Bible page 980. That word “all” is important, isn’t it? The words “heart” and “soul” and “mind” are not so much distinctly different things but overlapping categories to cover all of the most important part of us. So that we don’t just love God with our hearts but not our minds. Or our minds but not our hearts. Every inch of our beings all of the time and including when we are at work should be bent to worshiping God alone. 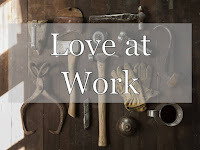 How are you doing at loving your God at work? And, again, that’s not just warm fuzzy feelings about God. But are you loving God first and foremost and saying no the idols that your work might offer? Are you customizing God at work and not loving Him for Who He really is? Are you taking His name in vain or misusing it in some other way? Are you trusting Him and finding a balance between work and rest? How are you doing at loving God at work? I’ll bet you are failing. Not 100% failing, I hope. But I’m guessing that you can see areas where you have failed. The Ten Commandments, when we really understand them, show us our need of a Savior. We have all failed at keeping the Greatest Commandment, but thankful Jesus didn’t. And through His Cross, He offers us both forgiveness and His perfect record. Have you come to trust Him as your Savior? He’s a wonderful Savior. All that we’ll ever need! Trust in Him and ask Him to help you to love God supremely in your work. Each week in this series, we’ve had a group of people stand and be recognized for their hard work and contribution to the common good. Some of you have stood more than once, some haven’t yet. If you think I’ve forgotten you or not noticed you, talk to me afterwards today. I want to get everybody by the end of this series which is in two more weeks! And more than that, I’d like to visit more of you at your place of work. I was impressed by the pastors I listened to this Summer at the national conference that it’s important for pastors like me to actually go to your place of work to understand better what you do all day every day and every week. To not just make hospital visits and home visits but also work visits. Now some of you won’t want me at your place of work, some of you can’t have me at your place of work. I don’t think the power plant where Lonnie is open to visitors most of the time. But if you would like to have me visit your work, I’d love to come and see what you do and talk to your co-workers and maybe pray for you as you work. I promise not to get in the way! I’ve done it with some of you over the years, but I see that now as a more important and permanent part of my job description as your pastor. Today, I’d like to have everyone who interacts with the public stand and be recognized. I’m thinking especially of those who work in retail or in reception. Maybe you man a welcome desk that people walk up to. Maybe you answer the phone at work. Or maybe you’re in public relations. Or you’re the face or voice of your company. Would you folks who interact directly with the public stand and be recognized. Thank you for your contribution to our society. And thank you for doing it as followers of Christ, loving God on the job. I’m sure it’s not always easy. I’m sure it’s not always easy to do the right thing, the loving thing in your jobs. Thank for you for trying. For wanting to do the right thing. And for loving God and those around you. Yes, and those around you. Your neighbors. That’s where Jesus goes next, isn’t it? In verse 39. #2. LOVE YOUR NEIGHBORS AT WORK. It’s not enough to say that we love God, we must also love our neighbors, the people around us. Loving people is secondary to loving God but not optional in anyway. And in fact, we can’t love people the way we should unless we love God. But if we love God we will surely love people because they are made in His image and because we want to reflect that image by loving what He loves. Turn back to Exodus 20 again, and let’s look at the “Second Tablet of the Law” the last 6 of the Ten Commandments. These commandments are more focused on neighbors. What does it say there? Pew Bible page 73. Exodus 20, verse 12. Now, if your work is at home, perhaps you’re a young person, then this verse applies directly to your work. And of course, we continue to honor our parents as we get older. I hope that I honor my father and mother in the way that I do my work day in and day out. And many Christians have seen a deeper principle at work here, as well, that of honoring any proper authority over us. So loving our neighbors in that sense could be honoring our bosses and treating them with respect. Remember, this doesn’t say, “If they act honorably, honor your parents.” It just says to honor them. And the same is true at work. We don’t just show respect to the management when they are doing their job well. As you would want to be loved if you were the neighbor. Are you treating your boss in the way you wish you were treated if you were the boss? I thought you’d appreciate that one. Next week, the sermon is going to be about relating to our co-workers, good and bad. A number of you have asked for that one. But I’m also not kidding here about the 6th commandment. What did Jesus say about the 6th commandment? Where did our Lord go with that? Jesus said, “You have heard that it was said to the people long ago, 'Do not murder, and anyone who murders will be subject to judgment.' But I tell you that anyone who is angry with his brother will be subject to judgment. Again, anyone who says to his brother, ‘Raca,’ is answerable to the Sanhedrin. But anyone who says, 'You fool!' will be in danger of the fire of hell. Therefore, if you are offering your gift at the altar and there remember that your brother has something against you, leave your gift there in front of the altar. First go and be reconciled to your brother; then come and offer your gift” (Matthew 5:21-24). Jesus goes to the heart of murder, and it’s just simply hate. It’s devaluing a person and wishing them ill and refusing to forgive them. That means that you are faithful to your spouse when you are at work. You love your neighbors at work by not taking their things. By upholding their property and their rights. And that’s more than just stuff, isn’t it? You can steal a lot of different ways at work, can’t you? Pat Morley has a short list in his chapter on integrity in A Man’s Guide to Work. • Do I surf the Internet on company time when the boss is on vacation or in meetings? • Do I make telephone calls on company time (instead of at lunch or during authorized breaks)? • Do I mark sick time on my card when I want a day off or am out of vacation days? • Do I report all of my income? • Do I lie to make sales? • Do I knock off early without permission? • Do I fudge on expenses? • Do I “borrow” company supplies? When I do those things, I am failing to love my neighbor as I love myself. Do you see how ethics is about love? This is about lying at work. The 9th commandment is about protecting the reputation of others. This is how you talk about others on the job. Do you tell the truth about them? Do you talk about them as you would want to be talked about? This is the commandment that rules out office gossip. Loving your neighbor means being content with what you have and not jealous of what your neighbor has. This last and tenth commandment is the most internal one. You can’t always tell if someone is coveting or not. But God cares about the heart. That’s where you love or don’t love. How are you doing at loving your neighbors at work? My guess is that you are failing. But when I look at these commandments, I am painfully aware of my shortcomings. I’m painfully aware of my sin. And that’s right and good. Because I need a savior and I need to know that I need a savior! These commandments reveal how needy I really am. And thankfully, I have a Savior who is everything that I need. This is the week of Thanksgiving. And the thing we should be most thankful for is our salvation. Because we have all failed to love God supremely and neighbors sacrificially. And it’s not good enough to just try harder. We should try harder, but we will always fail to some great degree. But Jesus did not fail. He won the victory, and He gives it to us if we believe in Him. And more than that, He helps us to love others as He has loved us. He kept the greatest commandment and the second one like it. And He is working His love into us so that we can love, too. And that’s love at work! What are the personal ministry skills that every single Christ-follower should have? I gave my answer to that question today at the Biblical counseling coalition blog. [Matt's Messages] "Working in the Name of the Lord"
Our sermon series is called “Working for the Lord,” and this is the 11th message in our series. Ever since Labor Day, we’ve been learning together what the Bible says about our work, our jobs, our vocations, our callings, our labors. And we’ve finding out that God’s Word has a lot to say about our work. God cares about how we work, and how much we work, and how we do our work. And we’ve been learning that this teaching applies to everyone not just those who leave the house and work from 9-5 for pay, for compensation, but everybody. All Christians are working for the Lord. One of you told me this week that it was slowly dawning on you in the last few weeks of this series that this stuff really did apply to you. This person was retired from their work for compensation but was realizing that what they were called to do right now was still an important contribution and that all of these things we’ve been learning about with attitude, and prayer, and diligence, and laziness, and rest, and everything else applied to them as well. So whether you are retired, or a second, a second, third, or fourth grader, or are employed right now and looking for work or even are disabled and unable to do work for compensation at this time, or if you head out each day and work an 8 or 10 or 12 hour shift, all of this stuff applies to every one of us. Our hide the word verse is Colossians 3:23 and 24. Today, I want us to back up the page a little bit to verse 17. Verse 17 begins with almost the exact same words as verse 23. Now, in the context, this is talking to Christians about how to live a holy life as Christians. And the first application, just like last week, of these verses is to life and relationships within the church. Verses 12 through 16 are especially about how Christians are to relate to one another in love, and peace, and in unified worship. So when we get to verse 17 and it says, “and whatever you do, do it in the name of the Lord Jesus,” the first application we should think about is to the gathered church. Everything we do here and among us whether in word or deed should be done in the name of Jesus and be full of thanksgiving. Not just in November, but all of the time. But I don’t think that the apostle Paul has just in mind the local church here. Because he flows right from verse 17 into our relationships in the home, wives, husbands, children, fathers and then into our relationships at work: slaves, masters and so on. Not just when you are in your holy huddle on Sundays. But when you venture out into the world to do your work, you are to live out Colossians 3:17. Does that land on you heavily? Do you feel that? When I started meditating on this verse this week, it really started to feel kind of heavy. Do you feel the weight of this? What does it mean to do something in the name of Jesus? Do something for me. Write down your answer. Take a second and put something down on the back of your bulletin. What would it mean for you to do your work in the name of the Lord Jesus Christ? Here’s what I think it means in Colossians 3. In some places, doing something in the name of the Lord means wielding some kind of authority. But here, I think it’s more about living under His authority than exerting it. I think that the basic idea is representing Jesus. Does anybody like these things? I love name tags. They are fun. My wife hates them. With. A. Passion. A name tag tells you something about who someone is. What if your nametag said this? Not really. My name isn’t really Jesus. But I’m here to represent Him. I’m here as Jesus’ representative today. I’m doing my work today in His name. Does that make this feel a little heavier? Now, maybe that’s not that helpful to you. Think instead, about uniforms at work. How many here wear a uniform at work? Not just a dresscode, but your work requires you to wear something that says to the people around you what you represent. It might have the name of your company on it. And maybe their logo. And when you wear it, people expect certain things from you, right? I mean when you see a police officer in their uniform, you expect them to act a certain way. When you see a nurse in their uniform, you expect them to act in a certain way. Because they are wearing that uniform. I was at Lowes a few weeks ago, and I was wearing one of my favorite blue sweatshirts. And I got asked more than once to assist customers. They just saw that blue and thought that I worked there. Boy, would they be disappointed if I was the one to give them advice on tools and hardware! I think that Paul is saying that we are to wear the uniform of a follower of Jesus all of the time, including when we work. Well, some people think it looks like a clerical collar. Some pastors wear a collar to send a message to those around them that they are representing Jesus. And that you can expect certain things from someone wearing that uniform. And that’s fine if a pastor wants to do that and send that message. But we’re learning this Fall that it’s not just pastors who are working for the Lord. It’s not just pastors or missionaries or other full time ministry people who are to do whatever they do in the name of Jesus. We are all called to represent Jesus in our workplaces, whatever they are. And it means a lot more than just wearing certain clothes. So how are you doing at repping Jesus in your work? Yes, you believe that you are working for the Lord and should be working for His pleasure. How are you doing at being a representative of the Lord in your work? If you looked over the last week of work and had to grade whether or not you did your work in the name of the Lord, what kind of a grade would you give yourself? Notice that it says in verse 17 that this is in both word and deed. It’s not JUST words but deeds. And it’s not just deeds but words. It’s both walk and talk. Some people talk the talk but don’t walk the walk, right? But this is saying that we must talk the talk, as well. We can’t ignore our words as part of the equation. How did you do at words and deeds this last week that represent the Lord Jesus Christ in your workplace? Another similar metaphor would be ambassadors. An ambassador represents their country. They do what they do in the name of their country. How are we doing at being ambassadors of the Lord Jesus in our work? If you take out the trash or you sign the multi-million dollar sales agreement. In whatever you do, words or deeds, do it all in the name of the Lord Jesus. Each week in this series, we’ve been asking a different group of workers to stand. Some of you have fit under multiple categories and have been asked to stand more than once. That demonstrates the complexity of our work in God’s world. Some of you haven’t stood yet, but I’m trying to make sure everybody does by the end of this series because this is about everybody. Today, I’d like you to stand and be celebrated if you work or worked in finance, law, sales, or art. So if you are an accountant or you work at a bank or if you are an attorney or you sell things, or if you are an artist (you make things to express truth or beauty), I’d like you all to stand. Thank you for your contribution to the common good and for doing your work as a representative, an ambassador of Jesus Christ. I picked these professions for today because they often involved signing things. Here is the signature of the artist Rembrandt from one of his works in 1633. He signed his work in his name. And those in sales, and law and finance deal with signatures all of the time. Well, verse 17 says to do your work in such a way that Jesus could sign His name to it. Do it under the name of Jesus. Let me suggest this morning, 3 things that this means for our work. I’m sure we could come up with more, but these are the three I’ve been thinking about this week. We’re to do our work in the name of Jesus Christ. What should be the level of work that we turn in under that name? It should be our best work, shouldn’t it? We should strive for excellence in our work because we are doing it in the name of the Lord Jesus. It’s not just that He is our boss and we need to give an account to Him so we do it with excellence, but because it reflects on Him how we do our work. Last week, I was excited to get a copy of this magazine in the mail. It’s the called the “Evangelical Magazine” published by the Evangelical Movement of Wales. That’s Wales the country in the UK not whales the giant sea creatures. They don’t have a magazine as far as I know. What I was excited about was that this magazine has published an article by me called “Instead of Gossip: Listening.” And they featured it here on the cover with this cool art. It’s fun to be published across the pond. When I was contacted this Summer by the magazine about submitting an article which was going to be an excerpt from one of the chapters in my book. I had one major stipulation. They were welcome to take my chapter and edit it into an article, but I wanted final approval of whatever it said. Because they might have to change a few things in the editing to get it down to an article. And they were fine with that, and it turned out good. But here’s why I cared. Because it was going out under my name. So I cared about the quality of the work. Same principle. You and I are doing our work under Jesus’ name. What kind of quality should we strive to produce? Now, the perfectionists among us today are getting really anxious. I feel your pain. I tend towards perfectionism myself. You will not produce perfect work. And it will be difficult at times to figure out what your best work is. I struggle with that all of the time. Because I could improve just about anything I do. I could spend more time on each of these sermons and make them some percentage better. But we all have limitations, in gifting, in skill, in opportunities, in requirements, in expectations, and in time. So we have to take those things into account when we are deciding if we’ve done our best or not. But our best is what we should strive for. The perfectionist needs to accept a healthy dose of grace. But they have one thing right. The Lord Jesus deserves our best. Does that name ring a bell? He was an artisan, right? And what did he make? He and his crew worked with all of those materials to fashion the Tabernacle into a beautiful creation. I don’t know about you, but I struggle when I get to that part of Exodus and the parts in 1 Kings and Chronicles about all of the blueprints and design and building of the tabernacle then later the temple. First it’s how to build it, then it’s how they got the stuff, and then it’s how they built it to those specifications. I don’t work at Lowes. I have a hard time caring about those kinds of details. Did you hear what God said about His Spirit and Mr. Bezalel? Let me read it to you again. God cared enough about excellence in the tabernacle that His Spirit got personally involved in the craftsman! So we shouldn’t just be turning in shoddy work, either. Are you striving towards excellence in your work? If you are a second, third, or fourth grader, are you doing your best at school? That’s your job! Do your best. Are you an attorney with lots of paperwork to fill out and a temptation, perhaps, to cut corners? Corners nobody would know about? Remember, you are signing not just your own name but Jesus’ name on your work. Whatever your job is. Maybe it’s taking care of somebody. Last week, we said to do it with a servant mindset. This week, we say, do it with an artist’s mindset. Do it with excellence so that Jesus won’t be ashamed to sign his name on it. And by that I mean righteousness. Do you work with moral goodness. Don’t just do your best work but do your work with holiness. I’m going to talk more about this concept in another message soon about doing the right thing at work. But here it must be said that we should do all of our work in such a way that Jesus would not be ashamed to sign His name to it. Not because we were really productive but because we were righteous as we did it. We weren’t sinning along as we worked in Jesus’ name. And that’s not just not doing the wrong thing. If you go up the page some more in Colossians, you can see how this works. Start in chapter 3, verse 1. There’s a mindset for you! That’s a reminder of who you are and whose are you. He’s signed His name to your life. So there’s a list of what NOT to do at work. Sexual immorality. Sleeping with your co-workers. Impurity, lust, evil desires, greed. That’s out of place for Christ-followers. Do you ever see those things at work? But you do your work in the name of the Lord Jesus! That’s how to do you work in the name of Jesus! With a song on your lips and God’s word dwelling in you richly. What needs to change in your life this week so that you would not be ashamed to have Jesus sign His name to your behavior at work? Is there somebody you need to forgive? Is there some filthy language that reflects poorly on your Lord? It’s becoming like Jesus, isn’t it? What would Jesus sign His name onto? Compassion, kindness, humility, gentleness and patience. That’s where he goes in the last part of the verse, isn’t it? Whatever you do, do it with gratefulness in your heart. That’s a great place to end today because it’s Thanksgiving season. We need to be reminded to live lives of gratitude. There are a lot of bad things happening in our world. There are a lot of bad things happening in our work. We’ve learned this Fall about toil and trouble and groaning at work because of the curse. But because of Jesus we always have something to be thankful for. Sometimes the thing we are thankful for at work is just simply that we have a job. I’ll bet some of you have said that this week. But I’ll also bet that most of you can come up with a longer list than that of things at work that you are thankful for. And when you live out gratefulness, you are repping the Kingdom. Because gratitude is a Kingdom value. Especially because of the grace of the King. One scholar I was reading this week on this verse points out that the last phrase is about the Cross. We get to God the Father, how? Through God the Son and what He did for us. This scholar paraphrases the verse this way, “To sum up: whatever you are doing, whether it be speech or action, do everything in the name of the Lord Jesus, at the same time giving thanks to God the Father on the basis of the mediatorial work of Christ" (expanded paraphrase of Colossians 3;17 by Murray Harris). Because of the Cross, our imperfections are forgiven and so is our sin. So even as we’ve failed to do our work perfectly and righteously, Jesus has more than made up for it by His good and perfect work on the Cross for us. And that should make us forever grateful always giving thanks to God the Father through Him. Morning Glory "Heavenly Blue" with Bee-Scattered Pollen. Y Cylchgrawn Efengylaidd & "Instead of Gossip"
Here is a neat thing. The Evangelical Magazine has published an excerpt from Resisting Gossip in their most recent issue. The Evangelical Magazine is a ministry of the Evangelical Movement of Wales a church planting and resource organization with a rich history of gospel centered impact in that unique country which is part of the United Kingdom. This issue is in English, but the EMW does a lot of ministry in Welsh, and the original title of the publication is "Y Cylchgrawn Efengylaidd." The centre article in this issue is taken from chapter 6: "Instead of Gossip: Listening." Thank you, CLC Publications, for giving them permission share this with their readers! [Matt's Messages] "Your Attitude at Work"
Our current sermon series is called “Working for the Lord,” and it’s about what people do all day. Our callings, our careers, our jobs, our work. We’ve learned about diligence and laziness, and witnessing on the job, and balancing work and rest, and discerning our callings, and the effects of the curse, and why we work, and last week was about prayer at work. And today I want for us to think together about how that affects our attitude at work. What should be a Christians’ attitude when we are working? If Jesus is my true boss, what should be my attitude when I’m doing my job? And by attitude, I mean, not so much your mood but your mindset. We can’t always change our moods, but we can and should choose and change our perspectives, our mental postures, our mindsets. How we think and then act on the job. What has been your attitude at work this last week? Isn’t it great how directly applicable each of these messages has been in this series? We get the lecture on Sunday and then immediately the lab on Monday through Friday. 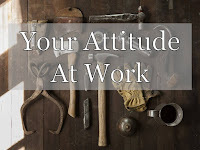 No matter who you are, no matter what your job is (butcher, baker, candlestick maker, retired person or second grader) what has been your attitude about and at your work this last week? Was this you this week? Or something in between? Or both at some point or another? I think I was this one or this one this week. "Sleepy" or "Dopey." I was just run ragged this week and felt like I was all dopey and running through a fog. This is challenging, isn’t it? What kind of an attitude, what kind of mind-set, should a Christian working worshiper have? We’re going to read the whole chapter this morning, in the course of this message, and there is so much here that we are not going to get a chance to talk about. The last time I preached through Philippians, I took four weeks to do this one chapter, and today we’re going to do the whole thing in one message. So, we’re going to focus in on just a few big details. The apostle Paul is writing to the Philippian church from prison. He cannot be with them right now though he longs for them with all of his guts. He wants to help the Philippian church deal with the problems that they are now experiencing. The Philippian church is experiencing opposition to the gospel on the outside of the church and some strife among leaders on the inside of the church. Opposition to the gospel on the outside and interpersonal wrangling on the inside. In chapter 1, Paul told the Philippians that they need to fearlessly fight together for the faith of the gospel, presenting a united front against the opposition on the outside. And now in chapter 2, he turns to emphasize what needs to happen on the inside of the church. How these Christians should lovingly relate to one another. So the first application of these words is to our relationships within the church, but I’m also sure that they relate to our attitude on the job, as well. What should be our attitude at work? #1. CHRISTLIKE HUMILITY AND SERVANTHOOD. Yes, Jesus is your true boss, but He is also your true example of how to be a worker. You and I should get our clues of how to adjust our attitudes by looking at the example of Jesus Christ. But before we get to verse 5, Paul starts the chapter with an appeal to the Christians a Philippi to be loving and unified. And he does it by reminding them of the blessings of being a Christian. Did you catch those if/then statements? Do you have those things? Paul is saying that if you have the blessings, the benefits of the gospel, then the proper response of your life is to be loving to other Christians. If we all did that, how might that revolutionize our work? Now, again, the first application is to the church. Only Christians can be truly like-minded and have the same love, being one in spirit and purpose. But those Christians also go to work in the rest of the world and verse 4 applies to all of us there, as well. Don’t show up for work out of selfish ambition. Ambition is not wrong but if it’s all self-centered it will be wrong. And vain conceit is thinking that everything is about you. 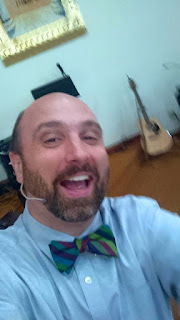 Unflattering selfie while preaching this message. Is your work-life all about you? We live in a selfie-culture where the subject of more pictures than ever before is ourselves. It used to be that you took pictures of other people and other things. But now our culture is obsessed with taking pictures of ourselves. Is it wrong to take a picture of yourself. No. But what does it say about our society when that’s the main thing that many people are photographing? We live in a selfie-culture at work, as well. We are always looking out for number one. Not just climbing the ladder but pushing people off of it to climb faster. I guess we call that being a team player, but that doesn’t sound as powerful as verse 4 does. Everybody looks out for their own interests. That’s not wrong. But a Christ-follower looks out for other people’s interests, as well. And that could be your co-workers. Are you doing what is in the best interest of your co-workers each day? Or it could be your employer. Are you looking out, not only for what works for you but what would be best for them? Or it could be your employees. Are you regularly doing what is best for them, not just for you? Do you see how revolutionary this attitude is? Does the world work like that? But because WE have the benefits of verse 1 we can act differently than the world. We can be humble because we are loved. Humility considers others better than (or more important than) yourself. Not better in worth. But better in care. In attention. In service. Better in importance. It means putting other people first. This principle is in basic contradiction to our world’s value system but it is the foundation of value system of the kingdom to come. The last shall be first and the first shall be last. What does it profit a man if he gains the world but lose his soul? Self-denial. And looking out for others’ interests. What could you change in your work flow this week to make sure that you are living out verse 4? Now, that does not necessarily mean that you do your co-workers’ work for them if they are slackers. And it doesn’t mean that you do everything you are asked to do at work, especially if it’s too much. But it does mean that you are generous and want what’s best for everybody, not just yourself in your situation. Does that make sense? Because we have the benefits of the gospel, we can go to work with an attitude of humility and servanthood. And our Lord Jesus showed us how. V.5 again. The same outlook. The same perspective. The same mental posture. That’s what Jesus did. Verse 6. At Blair’s memorial service we talked about this. Jesus did not come to be served but to serve. And that’s the true measure of greatness. Not status, stuff, or success, however defined, but servanthood. We love verses 9-11, but Jesus had to go through verses 6-8 to get there. And we need to follow His lead. You could call this “downward mobility.” Or just servanthood. Is this your attitude at work? Are you on the hunt for those who you could serve? I think that our administrative assistant here in our church office a great example of someone who follows Jesus’ model of humility and servanthood. She always goes above and beyond to make sure that everyone is served. Not just in the details but caring for the hearts. Only one of those leads to glory and reward. Jesus was rewarded with the highest glory because He took the lowest place. Those folks at work that are seeking their own vain glory, they might get ahead in the short run, but the fallout in the end will be spectacular (Ps 73). Read Psalm 73 some time to see what will happen to those who are filled with self-ambition and pride. Those of us who are united to Christ can humble ourselves like him and serve others around us in love. So much I could say about that but don’t have time today. Notice that we work OUT our salvation. We don’t work for it. We live out the implications of our salvation with fear and trembling. With worship and awe that we are loved by a holy God and who gave His Son for us. And we work out our salvation BECAUSE God is at work in our hearts on our wills. We work because God is at work. There’s a lot to ponder there. But I really want to get to verse 14 because there’s the attitude. #2. CHRISTLIKE CONTENTMENT AND THANKSGIVING. Just think what would happen if we lived out verse 14 consistently. Now, before you think about godly ways to complain (which there are some, read the psalms) or arguments that need to be made (which there are some, the Bible includes them, too)... but before you go there and qualify these statements, just agree that the world would be such a better place without complaining and arguing. These sins of grumbling are major problems for us in our wealthy consumeristic Western culture. Americans love to complain. And after politics, work is probably the thing we love to complain about the most. But grumbling is rotten to the core. It is unholy discontentment with the way things are in God’s world. Grumbling is complaining about how God is doing at ruling His own world. Do you see how sinful that is? My friend Ronnie Martin has just come out with a new book called Stop Your Complaining: From Grumbling to Gratitude. Ronnie is the planting pastor of the church that Jeff Powell is a part of in Ashland, Ohio. And Ronnie is now serving as a volunteer church planting director for our district. What I really like about Ronnie’s book is that he shows just how atrocious an attitude of complaining is for those who belong to Jesus. If we have the things in verse 1, how could we get stuck in verse 14? I have a copy you could borrow and the church library has one, too. It’s kind of fun because this is the second book that I’ve gotten to endorse as an published author. 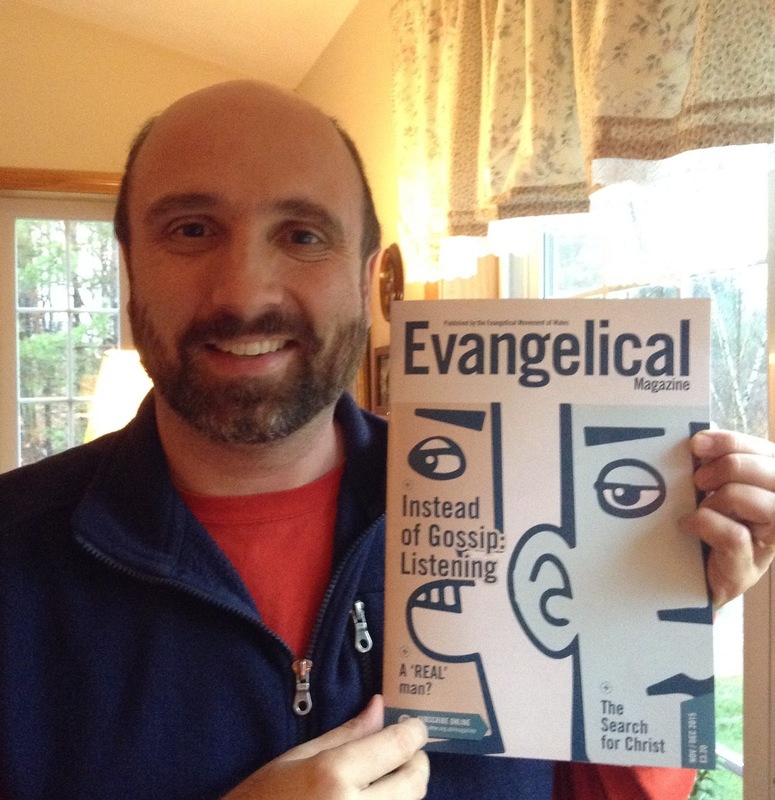 It’s published by CLC my publisher, as well, and they asked me to say a word about it. Now, I say this is the second book I got to endorse. The first one was Loving My Children by Katie Faris. She also does a wonderful job of reminding us of what we have in Jesus so that we don’t complain about our day job, even if our day job includes cleaning up preschooler’s vomit. Again, the first application of these words is towards the church. Do everything you do within the church family without grumbling about each other or picking fights. But it also applies to our attitude at work. Do you job without grumbling. Develop an attitude of gratitude, right? In Christ, you have everything and that should make all of the difference. This does not meant that we never point out what is wrong at work. It’s not turning a blind eye to problems or not trying to be a problem-solver. But is not making the problems the focus of your heart. And letting that spill over into bitter complaint that does nothing to help the people around you. If you and the other Christians at your workplace stopped your griping and grumbling, would you stand out? Paul says in verse 15 that we would stand out like stars in the universe! We’ve had some beautiful starry nights recently, haven’t we? Do you go out and look at that vast expanse and what stands out? The stars, right? Paul says that if we purify ourselves of discontentment and grumbling we will stand out and people will want to know what’s different about us. Like Ken Shimmel in Dan Kerlin’s story a few weeks ago. He was whistling while he worked! How could he do that? Because He was content with His true Boss. If you know that Jesus is your Lord then you can be happy on the job. Not happy about everything that happens there but happy in spite of everything that happens there. Whining is the great American past-time. Paul saw his work as worship! And he thought he might be dying for the gospel at this time. But he believed that the gospel was powerful enough to transform believers, to give them a new perspective, a new attitude and mindset for their lives. Christlike contentment and thanksgiving is what it looks like to work out your salvation with fear and trembling. How are you doing that? What needs to change in your attitude at work so that others see you as full of contentment and thanksgiving? Ephaphroditus had that servant attitude as well and probably that of contentment and thanksgiving. He was able to risk it all and think about others more highly than himself. He was concerned about the Philippians even though it was he who had been sick. Who is an example in your life that lives out these attitudes in their work? Everybody knows somebody who just lives this out. I think of Blair Murray. It’s no secret that we’re all grieving him still. Blair was a servant. He had this attitude. He was full of contentment and thanksgiving. And he put others first. It’s right for us to remember that and to honor him. I love that about verse 29. It calls upon us to honor people in the areas where they deserve it. When people we know live out these principles, we should show them honor. Today, I’d like to have all of those who serve in protective capacities to stand and be recognized. We already had our veterans stand. They stood in harm’s way to protect us. But on top of that I want to have all of those in corrections to stand. If you work is or was being a corrections officer or you work in the prisons or the boot camp. Or if you are a police-officer. Or a security guard. If Jeremy were here today, we’d have our police-academy cadet. If your job is to protect people, I’d like to stand and be recognized and be honored. Thank you! We celebrate you today because I think your jobs might some of the hardest in the world to maintain a good attitude about. Because you are constantly receiving negativity. So much is against you. I can get to complaining about my life, but there is a whole month dedicated to pastor appreciation! I don’t think there is a whole month when everyone tells people working in protective ministries what a great job they are doing! Thank you for doing what is often thankless. And for doing it, if you are a Christian, with a servant attitude. And I am looking out for others not just for myself. I think this area of attitude is a hard one for us. Most of us can get some kind of a rhythm going between work and rest. Most of us do some praying for our jobs. Most of us want to witness at work. But it’s hard to maintain a good attitude at work. It is. It is difficult. But it’s the right and righteous thing to do. And it brings God the most glory. And Jesus showed us how. [Matt's Messages] "Prayer at Work"